Chule, Perú Drake anchored here because he heard that a ship was being loaded with silver. The Spaniards had been warned. Drake arrived two hours too late. Only one author has tried to locate Chule. 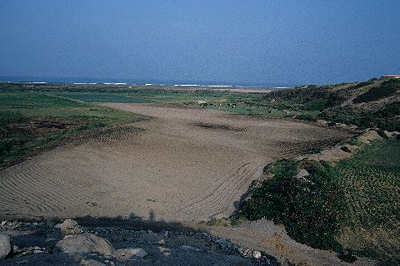 Research in a Peruvian library and contact with local historians, proved that the site of the port village was Chule Valley, 5 miles south of Mollendo; now high and dry, since the sea has receded half a mile.